LAKELAND -- Pastors in the East Angola Conference will receive additional training opportunities at the School of Theology in Quéssua, a mission supported by the Florida Conference, thanks to a $32,500 grant from the United Methodist General Board of Higher Education and Ministry (GBHEM). Gutted during Angola's civil war, the School of Theology in Quéssua has been rebuilt. Now local pastors will be able to travel and train there, thanks to a GBHEM grant. Photo from Quéssua mission. The board also awarded $17,500 for e-reader materials for Portuguese-speaking students at theology schools in East and West Angola, as well as Mozambique. The grants were among 73 totaling $1 million for programs in 22 countries in Africa, Asia and Europe that were announced last week by GBHEM. The money will be used for pastor training, faculty and curriculum development, library improvements and more. Rev. Dr. Cleivy Garcia, vice dean of the School of Theology in Quéssua, applied for the School of Theology grant, said Icel Rodriguez, Global Missions coordinator for the Florida Conference. Garcia and her husband, Rev. Dr. Leonardo Garcia, are missionaries from the Methodist Church of Cuba based in Quéssua. 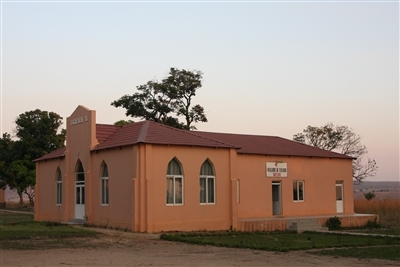 The East Angola Conference is almost twice the size of Texas, Rodriguez said, and many pastors serving churches in the conference must travel long distances to take theological courses in Quéssua. The $32,500 grant will provide scholarships to cover transportation, room and board and tuition. The funds will allow pastors to attend the seminary three times a year for one or two weeks of intensive classes. For the complete list of grants awarded, click here. -- Susan Green is the managing editor of Florida Conference Connection. Information from the GBHEM communications office was used in this report.